Imagine evenness improved 80% or more. Instantly. This dermatologist-developed formula virtually helps undo the visible evidence of past damage on all skin tones. In 4 to 6 weeks it dramatically reduces the need for makeup. In 30 shades. For best results, apply after 3-Step Skin Care. Smooth on with Foundation Brush starting in center of face, blending outward. I like all Clinique products and just got my order I’m excited to use my foundation. lovely finish and coverage. love it in the summer. 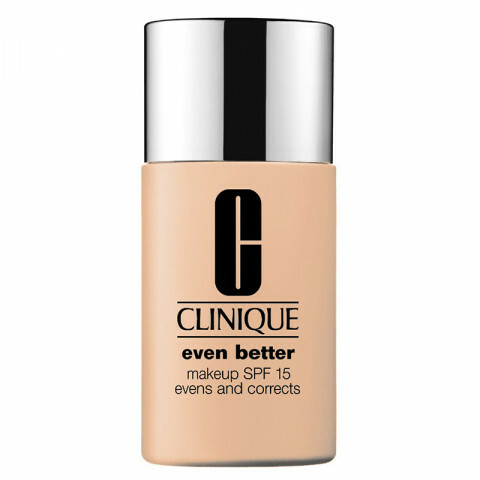 You won't need as much concealer with this foundation. I really really liked the way it applied and the coverage. It did not break my skin out but made my skin look better like it says. I think I have the shade Neutral or Sand. 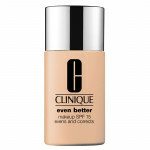 Gives great coverage and applies and blends well. Lasts all day.